FRISCO, Texas (July 23, 2018) — The 2018 US Youth Soccer National Championships officially began Monday as more than 2,800 players, coaches, referees, officials and administrators gathered for the player luncheon at the Hilton Anatole in Dallas, Texas. Ninety-six teams from the across the country are competing for national crowns in 13U through 19U Boys and Girls age groups at the Toyota Soccer Center in Frisco, and the week of competition began by honoring their accomplishments to this point. US Youth Soccer National Championship Series Chair, Bob Hart, welcomed the players, coaches and fans to the National Championships and talked about the opportunity the players have in front of them. Angela Hucles, former USWNT player and two-time olympic gold medalist, was also in attendance to give the players some words of encouragement and food for thought as they prepare for their big week. The National Championships Player Luncheon peaked with excitement as the audience watched a highlight video tracking the teams’ successes at the Regional Championships and in the US Youth Soccer National League. The final ascent to the National Championship for these teams begins with round robin play Tuesday, July 24 with games at 7:00 a.m., 9:00 a.m., 11:00 a.m. and 1:00 p.m. Preliminary games continue Wednesday and Thursday. After a day off on Friday, 14U through 18U teams will play semifinals on the morning of Saturday, July 28, before the first champions are decided when 13U and 19U sides compete in their final matches that night. The 14U through 18U National champions will be crowned on Sunday, July 29. Live broadcasts will be available for select games during group play and semifinals, as well as all 14 National Championship finals. To watch the live streams of the games, visit http://championships.usyouthsoccer.org/live/. Daily video clips will also be featured on the US Youth Soccer YouTube page. To receive daily information to your inbox, sign up to be a Championships Insider. The US Youth Soccer National Championship Series is the country's most prestigious national youth soccer tournament, providing over 185,000 players on more than 10,000 teams from US Youth Soccer's 55 State Associations the opportunity to showcase their soccer skills against the best competition in the nation while emphasizing teamwork, discipline and fair play. Each year brings about new challenges and highlights the motivation and commitment of these youth players as they continue pursuing their dreams of being one of the best youth soccer teams in the country. 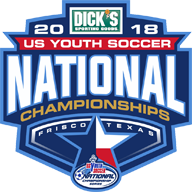 The National Championships are the final step of the US Youth Soccer National Championship Series and open to any US Youth Soccer member. The U.S. Soccer Federation initiated the open youth championships with the James P. McGuire Cup (19U Boys), the oldest trophy in youth sports, in 1935. 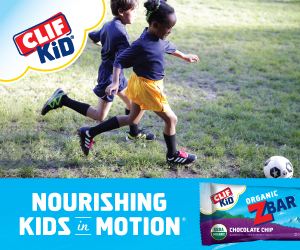 Since its creation in 1974, US Youth Soccer has added 13 divisions to the national championship tournament, with the 13U Boys and Girls divisions added in 2013 to reach the current format.